Bonkers About Beetroot is Cath Jones’ debut picture book and it’s completely bonkers! Cath and I met online through SCBWI (Society of Children’s Book Writers and Illustrators) and I am always very excited when writing friends become published authors. It’s lovely to welcome her to Story Snug to answer my questions about her books, her writing and her favourite picture books. Nobody is visiting Sunset Safari Park so Zebra and his friends decide to grow the biggest beetroot in the world. The size of the beetroot surpasses all their expectations and visitors flock to the park to see it. But Zebra has to resort to drastic measures when the beetroot grows too big for the park! The text is easy to read and we love illustrator Chris Jevons‘ vibrant artwork. A variety of animals live in the park including pessimistic Penguin who is always sceptical about Zebra’s actions. We love the way that the planting sequence is shown (including the explanation for what manure is, both in the text and the illustration!) and the solution to the problem of the gigantic beetroot and the twist at the end of the story are particularly brilliant! Thank you for visiting Story Snug Cath and congratulations on the publication of Bonkers About Beetroot. 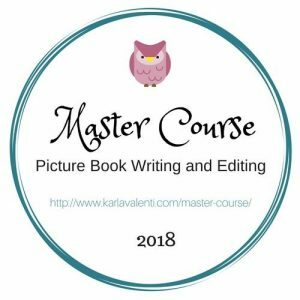 How did you become a writer? Thank you. It’s great to be here! I didn’t really become a writer, I’ve always written stories, it’s just that it took me a long time to get round to taking my writing seriously. At school my favourite thing was writing stories and as an adult, ideas for children’s stories kept popping into my head. I wrote story after story but didn’t do anything with them. It was only when I joined a local writing group that my writing began to evolve. Then I enrolled on Winchester’s Writing for Children MA course and after graduation joined SCBWI. 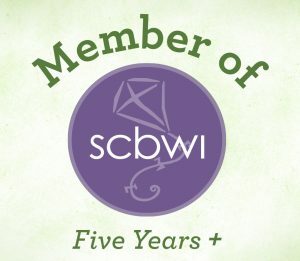 How has being a member of SCBWI helped you with your writing? Joining SCBWI was a great decision. 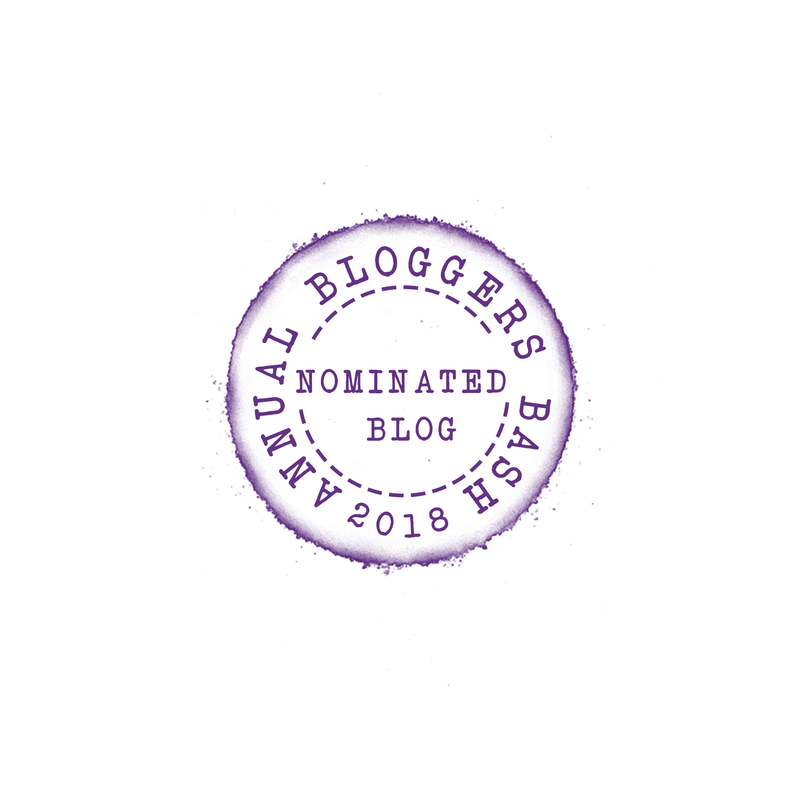 It has kept me focussed since my MA and the support of other writers has been vital. At one point, I almost gave up trying to get published but encouragement from my local group kept me going. Their online critique groups are excellent for developing writing skills too. I have been volunteering for around five years for SCBWI, organising the author Masterclasses with Alison Smith (Author Ally Sherrick). 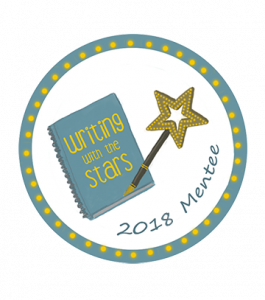 This has been a great way to meet other children’s writers and professionals within the publishing industry. Do you have a favourite location or environment to write in? I’m lucky enough to have a writing den! However, where I write depends on my mood. Some days I take myself off to write in a nearby library. In the winter, I tend to sit in my sitting room as there is a wood burner there. And in the summer, I enjoy being creative in the garden or on my allotment. Lucky you, a writing den sounds fabulous! Where did you get your inspiration for Bonkers About Beetroot? I managed a community allotment in Garlinge, on the outskirts of Margate. We ran some really fun projects there, including story sack making for families. We were modelling characters out of Fimo for inclusion in our story sacks. I was working with some kids and found myself making a purple stripy zebra. We were growing beetroot on the allotment and I looked at Zebra and instantly knew he had eaten too much beetroot! The idea of a beetroot eating zebra just wouldn’t go away and eventually emerged as Bonkers About Beetroot. How much collaboration did you have with your illustrator, Chris Jevons? I was so lucky to be matched with Chris Jevons. His illustrations turned my story into such a beautiful book. I had written quite a few illustration notes on my text when I submitted it to Maverick. He used some of my ideas and ignored others! I loved the fact that he had added a mouse to some of the spreads although there was no mouse mentioned in the text. I suggested he give mouse a bigger role and include it on every spread as a hidden mouse to find. Children love that! We have had a lot of contact via email but have yet to meet in person! Our favourite illustration shows Zebra eating the beetroot. We love the way that he eats it with a knife and fork! Oh yes the eating the beetroot spread is lovely. Do you have a favourite illustration from the book? It’s quite hard to choose a favourite as they are all such fun. 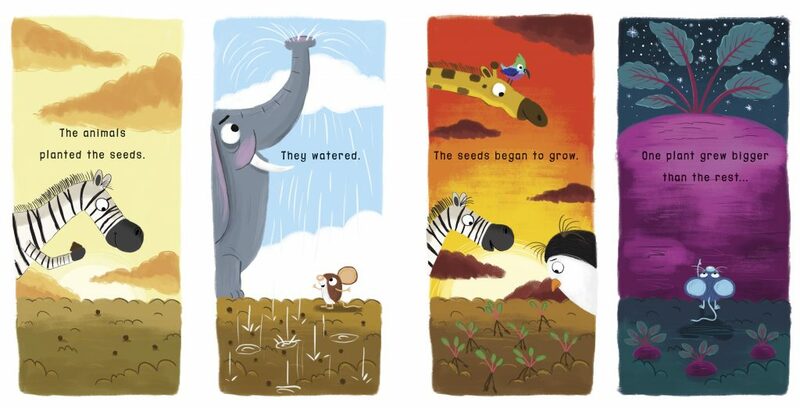 I love it when the giant beetroot is squashing Zebra and Penguin so that they are almost pushed off the edge of the page but my absolute favourite is when the animals are planting the beetroot seeds and watering them and the beetroot is beginning to grow. The final drawing in that sequence shows mouse looking up in awe at a huge beetroot against a starry night sky. It is just stunning. We always like to know what authors and illustrators like to read. Do you have a favourite childhood picture book? Do you have a current favourite picture book? There are so many wonderful picture books to choose from! As a volunteer, I read vegetable themed picture books to children on my local community allotment. Weirdly, my three favourites to share there, all feature carrots! One of my current favourites is Too Many Carrots by Katy Hudson. The illustrations are really fun and the text is quite short and very funny which makes it perfect for sharing with little ones in a garden setting. Can you tell us about any future titles or projects that you’re working on? I am always working away on a number of things at the same time. It would be wonderful if there were to be a sequel to Bonkers About Beetroot; have to see what happens! I write middle grade short stories for 2Simple an online school resources website and am currently enjoying working on a 5000 word Science Fiction story for that. And of course I have a number of other picture books on the go and am also trying my hand at junior fiction. I particularly love the challenge of writing early and reluctant readers and am working on some more of these at the moment. 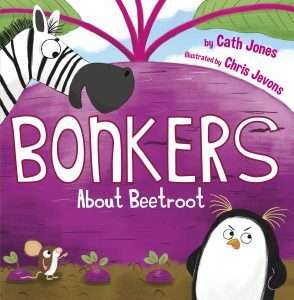 Cath Jones is the author of picture book Bonkers About Beetroot. 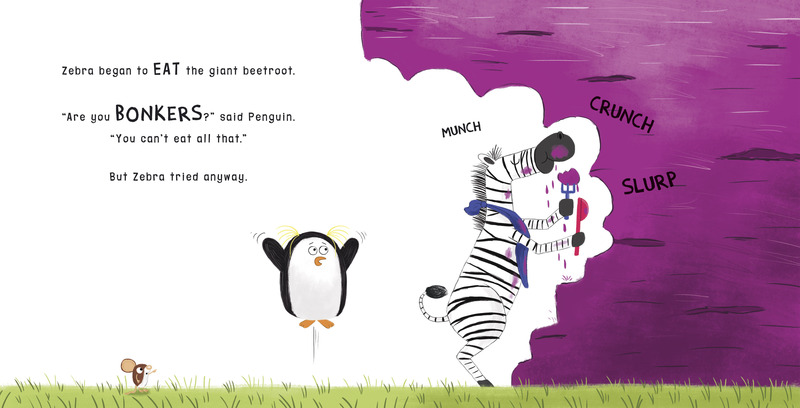 It is a wacky story of an out of control beetroot, an optimistic zebra and a pessimistic penguin with an ending that might surprise you! 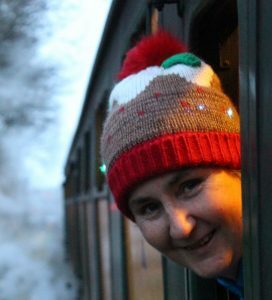 Cath has also published ten educational readers and writes middle grade adventure stories for Serial Mash on the 2simple school resources website. She loves sharing her stories and doing craft and creative writing activities with children and adults of all ages! She lives in Kent with her partner and a high maintenance kitten. When not writing, she grows mutant vegetables on a windy allotment overlooking the sea. Thank you to Maverick Books for sending us a copy of this bonkers book. We love it! It is funny and I love the way that making purple zebras inspired the story! This sounds like such an entertaining book and I love the illustrations. Great to read about Cath’s journey to publication too. This looks like fun! 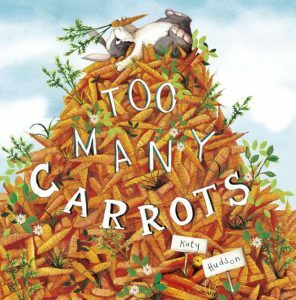 As an epidemiologist, I always like to see books starring vegetables. 🙂 What better way to make friends with them and have a healthy–and from the looks of this story–hilarious life? Nice one, Catherine! It’s a very unique story and has a fabulous ending!